Home › Forums › HoneyLove Forum › Baited hive. Next steps? This topic contains 26 replies, has 7 voices, and was last updated by ceebs bailey 4 years, 9 months ago. We finally have lots of bees in our hive by attracting them to their new home with lemon grass. Woohoo! Very exciting! But I’m not sure of the next steps. – I only see a few with pollen on their legs. Most of the bees that I see have no pollen on them. What does this mean? – Can I open the box and peek inside to see if I should put up the second box over the bottom box? – How do I know if the queen is inside? There has been a lot of activity since around beginning of June or even earlier. But I’m noticing a lot more bees now and they are crowding the entrance. All those that are crowding the entrance are void of any pollen on their legs. But I see once in a while some bees fly in with pollen. I first of all ask forgiveness for not answering you earlier.I didnt know you were still writing.I was busy with my bees that i didnt have time to use the computer. Ok,you said there are bees bringing in pollen.Are you sure .That you have to be sure.If there are a lot of bees coming in and out you have a hive.Open up the lid slowly (with a suit of course for safety because they will probably bee africanized bees)and look where the bees built the come on .Did they build off the lid or the frames.The bee’s usually build off things in rings of comb in the wild.How many bees are in the box?Give me more info on what you see inside. This reply was modified 4 years, 9 months ago by elisha browns. We looked into the hive and the bees started to make combs already inside the frames. We didn’t have any suits to protect us so we couldn’t pull out the frames but we saw lots of bees and about 4-6 frames have combs built on them. I think we might wait another month before we put on top a second box with new frames? And we need to buy some suits as well. What do you suggest for the next step? Awesome congrats! !Now the next step is to buy a hive tool and a beekeepers suit. ( ASAP)The bees will start building queen cells and then your bees will fly away. Would it be to bold to ask for your phone number? I’d love to talk to you if you have a bit of time. Or you can call me at your convenience at 323.697.7601 about my hive and next steps. Thank you and I apologize if I’m asking for something that I shouldn’t. I appreciate all your help! Just curious, what exactly did you use to bait your hives? I have some honey comb and some lemongrass oil and would like to use this to attract. I am just wondering what is the best approach towards application. You can use lemon grass oil or lemongrass itself but dried.If oil,drop onto frames and hive box.Any questions please ask,i’ll be glad to answer.Thanks!! Thank you, Elisha for your help, as always! But I think your lemongrass oil and honey comb would work just as well. Curious to know why you got box and bees even before a suit? Bees don’t draw queen cells unless they have a queen who is failing or defective (called “superceding”) or they are planning to swarm. A newly establishing swarm does not build queen cells as a first order of business—they have no eggs to make a queen from, so this is impossible. They also do not have the pheromone guidance to do so. If a swarm does not have a queen that is fertile traveling with them, they are doomed as a colony. If they have a virgin queen with them, she will need about 2 weeks to go on her mating flights to be mated with drones in the vicinity. The bees of a queen-less swarm WILL “fly away” (as the note says) unless they are added to a queen right colony by newspapering in. It is a better strategy to purchase protective clothing and certain simple tools such as smoker and hive tool, BEFORE beginning to work with bees. 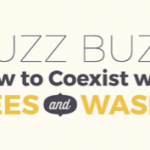 Not all bee colonies are docile and accepting of us humans messing with them. Better to be safe than sorry. Ok Susan, I have experience with feral bees.If you dont know that feral bees will bee afracanized(killer bees).A bee swarm will have a just mated queen and she will lay eggs right away.Bee swarms will build queen cells rite away because they are used to swarming.The only thing you can do about that is by changing that Queen with a european bee(i suggest).I have afracanized bees, they will sting thru your suit if your without a smoker. i got stung on my hand 10 times and my hand couldnt fit into the glove.Afracanizwd bees will kill if your without a suit. I understand that some people are rich and can pay for a suit in no time, but i bought mine after i got bees but got atleast 15 stings before i got it.The bee venom is very healthy for you, the bees dont charge money. @ enci.. Thanks for the suggestion! @elisha .. Point well made! 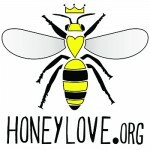 Sometimes I think some people forget that there are many beginner bee keepers and the point of this forum is to exchange ideas as well as learn new tips. If we were all “experts” then a discussion like this would be inherently unnecessary. For those of you who provide snarky, condescending responses. All I can say is thank you for the info but please leave the attitude at home. Surely you wouldn’t approach members of your community like this in person, so please don’t use the internet as veil to promote your nastiness. Ceebs, we didn’t buy a suit as we didn’t need any for just capturing a swarm by luring them into a hive box. Now that we have a swarm and the hive box is ready for inspection, we bought one suit, that fits my husband. They didn’t have my size, so I have to wait until shipment comes in. So we have one suit. For my toddler we will have to special order a suit. Hope this answers your question. And yes, Elisha is right too, it is costly to buy everything at once, so we are spacing our purchases as we need them.